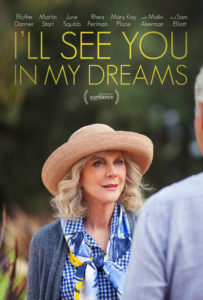 Synopsis for I’LL SEE YOU IN MY DREAMS: Currently rated “94% Fresh” on rotten tomatoes.com! “In this vibrant, funny, and heartfelt film, a widow and former songstress discovers that life can begin anew at any age. With the support of three loyal girlfriends (June Squibb, Rhea Perlman, and Mary Kay Place), Carol (Blythe Danner) decides to embrace the world, embarking on an unlikely friendship with her pool maintenance man (Martin Starr), pursuing a new love interest (Sam Elliott), and reconnecting with her daughter (Malin Akerman).” (taken from Bleecker Street) Click on this LINK to visit the film’s official site. Don’t forget that we still have tickets to the crowd-pleasing documentary TAB HUNTER CONFIDENTIAL. It screens this Thursday (June 18) at 7:30. Tickets are just $8. Single Payer Action Network Ohio (SPAN Ohio) and Doctors for America are proud to host a screening of the powerful documentary REMOTE AREA MEDICAL. During the U.S. debate about healthcare reform, the media failed to put a human face on what it means to not have access to healthcare. Over three days in April 2012, Remote Area Medical, the pioneers of “no-cost” healthcare clinics, treated nearly 2,000 patients on the infield of Bristol, Tennessee’s massive NASCAR speedway. REMOTE AREA MEDICAL affords us an insider’s perspective on the ebb and flow of the event. It is the extraordinary stories of the patients, desperate for medical attention, that create a lasting impression about the state of modern healthcare in America. Admission is free and open to the public. A panel discussion will be held after the movie with local physicians and health policy advocates. The film will screen on Sunday, July 12 at 3pm. Tickets will be given on a first come, first serve basis on the day of the screening.